Poodll is a set of open-source plugins that add audio (and video) functionality to Moodle. Poodll allows students to submit audio assignments and receive audio feedback from their teachers. This focus on spoken language makes it a great tool for second language learning. Your site admin has to install the plugin – read more here. As a language teacher, I have used the Poodll audio assignment a lot. Its biggest advantage is that students and teachers can entirely focus on speaking abilities. What is most important, however, is that the audio assignments offer students a private room where they can experiment with speaking a new language ‘in private’, with only the teacher witnessing their insecure first steps. Remember that acquiring a new language can be quite face-threatening! Many students feel really out of their comfort zone when pronouncing the sounds of a new language; just hearing their own accent makes them cringe. For some of these students, Poodll can be like a retreat – their own, private language lab. For teachers, it is a possibility of providing detailed, focused feedback to individual students. Addressing individual areas of improvement makes the feedback much more relevant. This may explain why throughout the years, I have heard students mention the audio assignments as some of the most rewarding and useful activities during the language course. When setting up an assignments for your students, go to ‘Submission types’ in the settings and tick off ‘Online PoodLL’. If you want to limit the duration of your students’ recording, you can do so by setting a time limit. 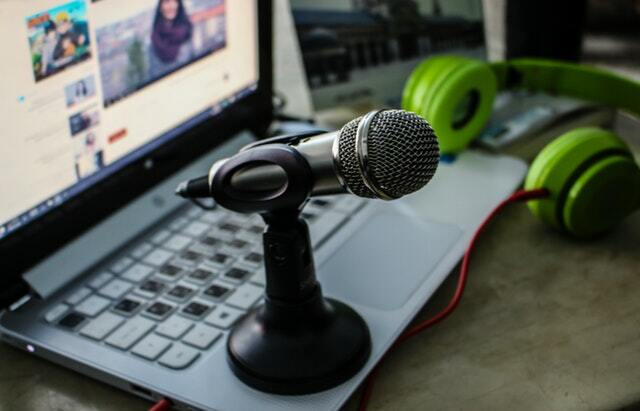 One of the benefits of an audio assignment is that they enhance the student’s speaking abilities. To ensure that your students really benefit from the exercise, however, make sure that design and purpose are aligned: What do you want to achieve? Do you want your students to produce spontaneous speech, only supported by a few keywords? Or do you want them to prepare a written text first and read it out loud? Why? Be clear and specific in your instructions to make the exercise more meaningful. Topic-based talks: Give your student a topic to talk about for a few minutes. Provide a few keywords in the assignment description if you want your students to use some specific vocabulary or address certain questions. Specify if you want them to prepare the entire text first, or if you prefer a more spontaneous presentation based on keywords only. Pronunciation exercises: Let your students record specific pronunciation exercises at home. Maybe you have been working with difficult vowels, consonants, stress, or prosody in class? An online Poodll allows you to follow up on each student’s progress and get a clear impression of how your class is doing. Reading aloud: Let students read a text out loud. The advantage of this exercise is that students do not have to worry about grammar or content, but only need to focus on the pronunciation. The drawback is that the rhythm and speed may become unnatural, either by rattling off the text too fast or by reading in a too slow, disjointed manner. For your own sake, I recommend you to set a time limit. Listening to audio submissions requires a lot of concentration, so you would not want to listen to more than a few minutes at a time. A limited time frame also makes it easier for students to maintain concentration while recording, and for you to provide focused feedback. To enable audio feedback, go to the ‘Feedback types’ in the assignment settings and choose ‘Feedback Poodll’. In my experience, it is a good idea to combine your audio feedback with feedback comments. To do so, tick off ‘Feedback comments’ and enable ‘Comment inline’. Keywords will scaffold your students’ listening comprehension while they are listening to your oral feedback. Poodll assignments prompt students to work on their speaking skills. By providing spoken instead of written feedback, you can enhance this process even further. If the assignment is a pronunciation exercise with a specific focus, you already know what to address in your feedback. The broader the scope, the more complex the feedback will become (as is the case for an overall assessment of spoken language: range, accuracy, fluency, coherence). It is neither possible nor useful to correct everything; doing so will only demotivate your students. Was there something in particular that impeded the overall intelligibility of the text? Which is the most significant problem? What is working really well already? What would be the next meaningful step for the student to focus on (zone of proximal development)? Before recording my feedback, I structure my notes, prioritise my observations, and remove the less important ones. I leave my written notes for the students in the ‘Feedback comments’ field. I then record the feedback based on my notes. I go through my observations, mention both the good things and the areas of improvement, provide scaffolding (e.g. corrections with explanations, or tips and tricks), and sum up by giving overall feedback in the end. How do you use audio assignments in language courses? Do not hesitate to share your own experiences, ask me a question, or initiate a discussion.